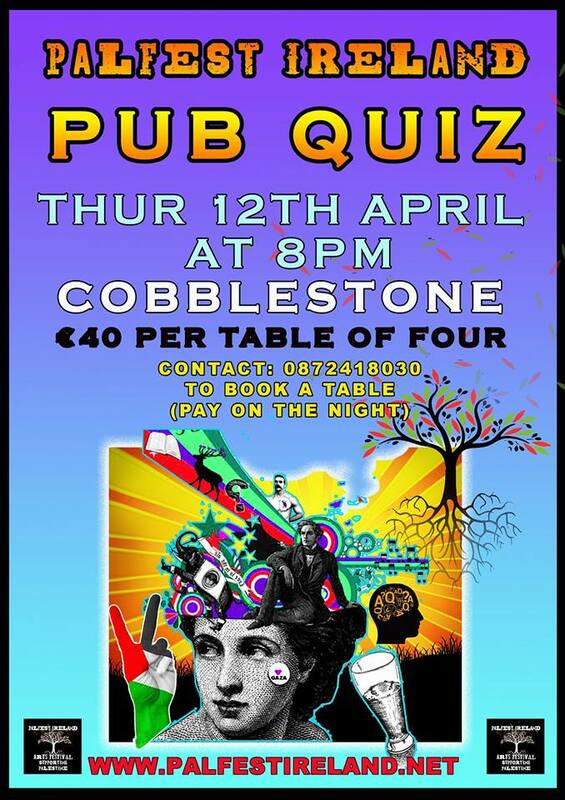 PalFest Ireland pub quiz. Proceeds go to funding a new stage show ‘Sendiana’ which will have its first performance on May 11th in Liberty Hall Theatre. €10 per person or €40 per table of four.